Many people dream of owning a luxury car, but a new one is not always in their budget. For these people, a used luxury car is a great option. Whether you are looking to save money, or simply want the bells and whistles of a luxury car over a regular one, there are many additional benefits to buying a used luxury car. If you’re living in Unionville or Markham and have been dreaming about getting behind the wheel of a luxury car, the beginning months of 2018 are the time to do it, as there are great deals to be had. Village Luxury Cars, for example – which you can find online at VLCI.ca – has some great, featured deals, and they even allow you to do remote test drives. There’s no reason why you shouldn’t be cruising down the 404 or 407 in style this winter. Below are the top five reasons to buy a used luxury car. The primary reason to buy a used luxury car versus a new one is cost. It’s simple: if you pay less then you will have more cash to do other things, like actually take your new car out on the open road. A new car also depreciates much faster than a used car, and will lose most of its value within the first few years, but if you buy the vehicle used, it will depreciate at a slower rate. A luxury car is simply nicer and better built overall than most other vehicles. Luxury cars also give you that feeling of prestige that you can’t get elsewhere on the car market, a feeling that you have achieved a certain level of success. These cars also turn heads. There are few, if any, advantages a regular car has over a luxury one – which is why it’s so befuddling when someone chooses to pay the same for a new regular car as they would for a used luxury car. Some people believe that a used car lacks in the warranty department, but this isn’t necessarily true. Depending on the age and miles, there could be plenty of warranty left on the vehicle – a vehicle that you paid less for in the first place. For example, if you buy a vehicle that is two years old that had a 10-year warranty on it when new, it still would have eight years of warranty left. 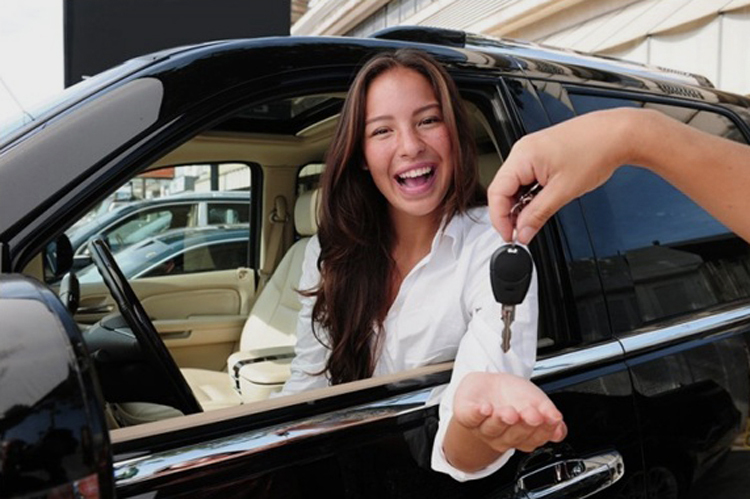 Luxury vehicles can be easy to repair if serviced at the dealership because most offer loaner vehicles. At some point every vehicle will need maintenance, and if it is easy to repair it makes the process less stressful. Used luxury cars are typically much cheaper to insure and register compared to new ones, as most provinces base these rates on the value of the vehicle. As the value drops, so do the rates, a fact that can save you hundreds or thousands a year. Compared to a new regular vehicle, a used luxury car will typically give you access to more high-end options and features at a cheaper or comparable price. Some of these options, like smarter infotainment systems or better engines, simply aren’t available or don’t perform as well on regular cars.